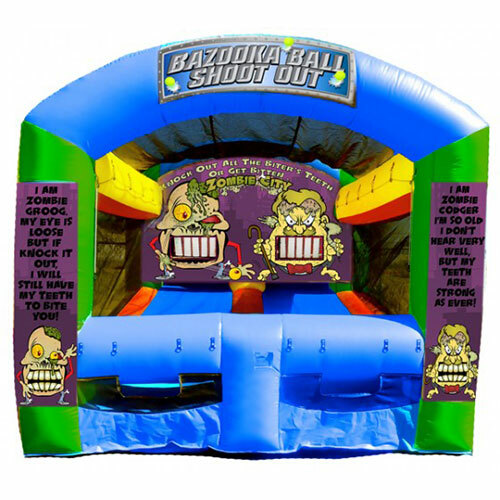 For Halloween or any zombie-crazy fan, the Zombie Shoot-Out makes a wonderful addition to your next event! 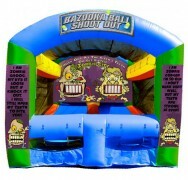 An inflatable shooting gallery that comes with two Co2 (paint ball) guns and foam golf balls. 18 ft L x 12 ft W x 11 ft H.